Holiday season means party season, and for me, that means entertaining season! The holiday season can also mean unexpected guests and last-minute gatherings, so it’s always good to have a few simple ingredients on hand to thrown together a quick party appetizer in case company shows up. By now y’all ought to know that my go-to combination is fruit and cheese for a delicious appetizer that feels fancy but is really super easy. The sweet and savory combo is always a welcome one at my table. 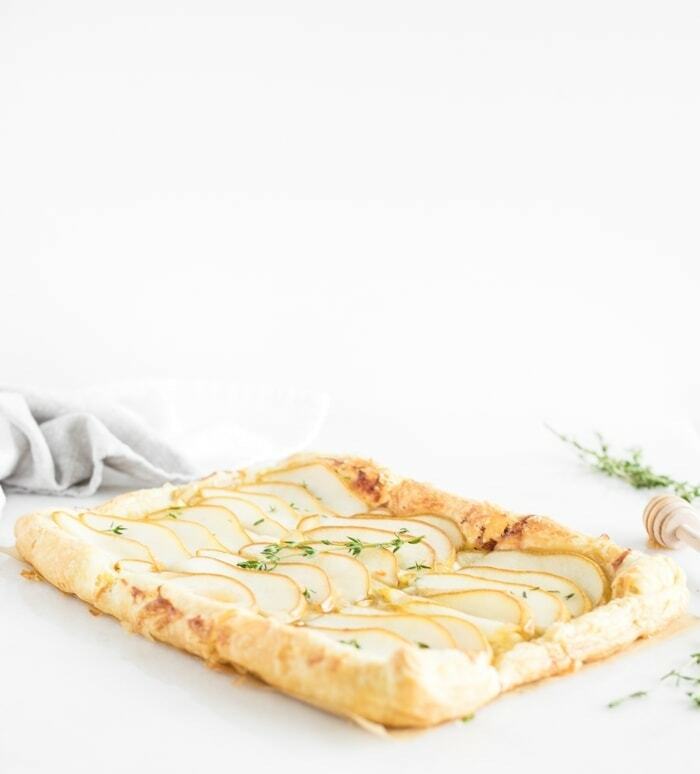 So it should be no surprise to you that one of my go-to easy party appetizers for the holidays is a delicious sweet and savory combination of pears and gruyere cheese on a golden puff pastry. 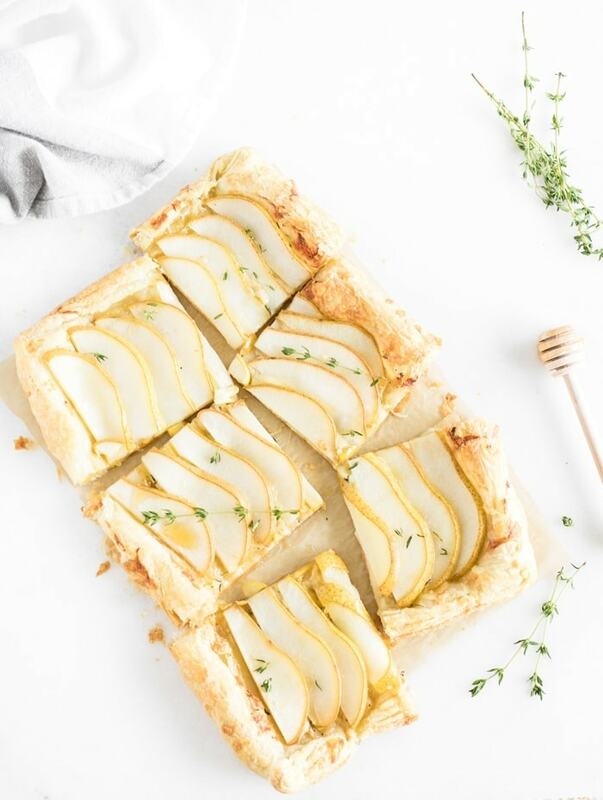 With a touch of fresh thyme, a drizzle of honey, and a pinch of salt, this delicious snack tastes complex and looks so pretty, but it’s actually a cinch to throw together! 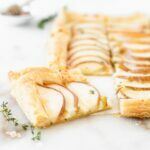 Just roll out a sheet of puff pastry (something that really always should have in your freezer this time of year, just in case), top with freshly grated gruyere cheese and pears, bake, and enjoy! What could be easier? 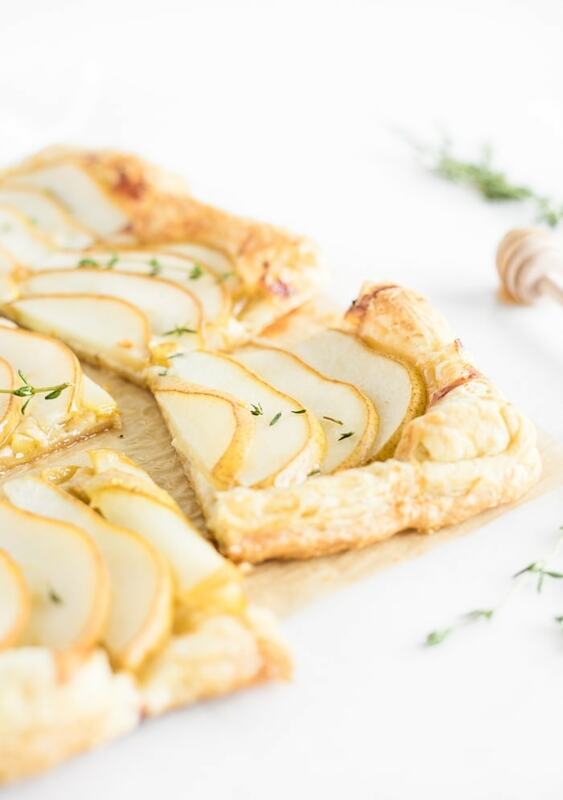 This yummy pear gruyere puff pastry tart is a delicious treat with a glass of wine and good friends. It’s sure to please all of your guests (even those last minute ones who may or may not be hard to please). 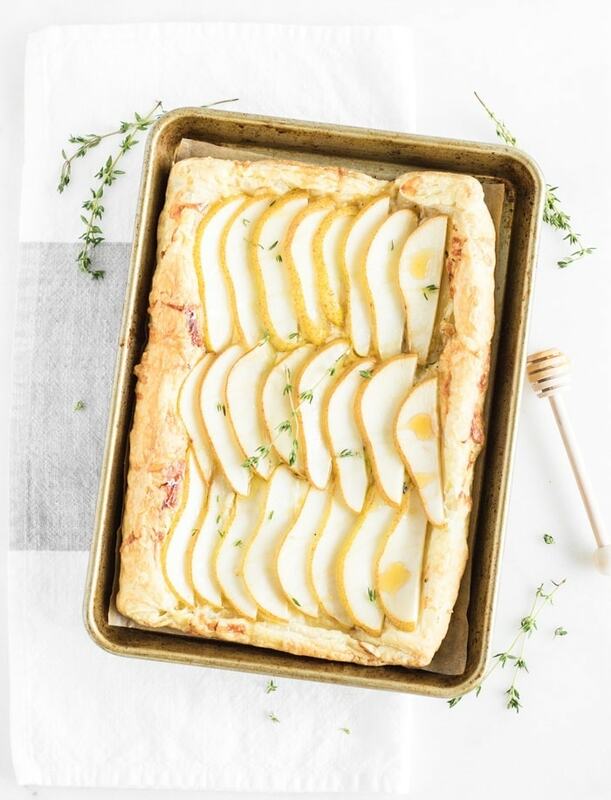 This gorgeous pear tart just might become your go-to holiday party appetizer! Heat oven to 400°F. Line a baking sheet with parchment. Roll puff pastry dough out into a thin rectangle, folding the edges over to make a half-inch border. Sprinkle puff pastry dough with cheese and thyme. Place pears on top, layering them close together. Place in the oven and bake 20 min or until puff pastry is golden. 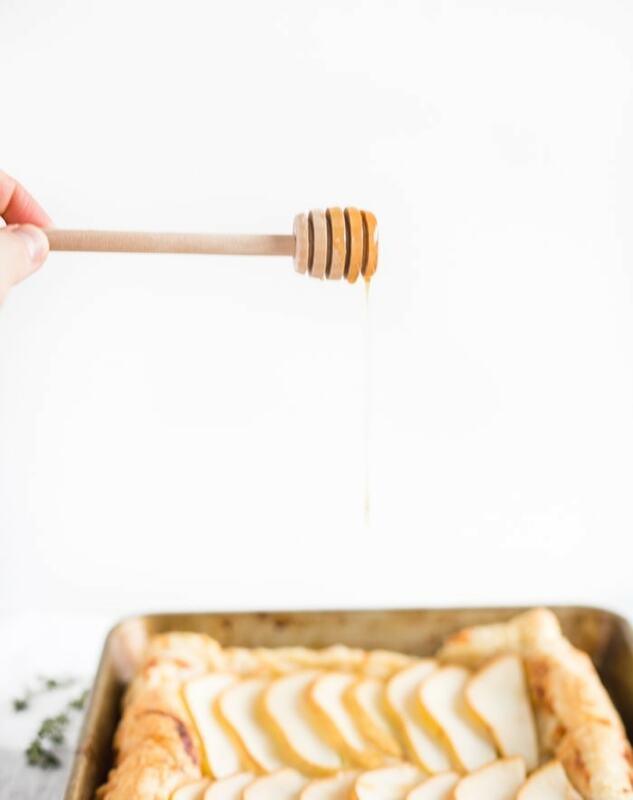 Remove from oven and drizzle with honey. Sprinkle with salt.